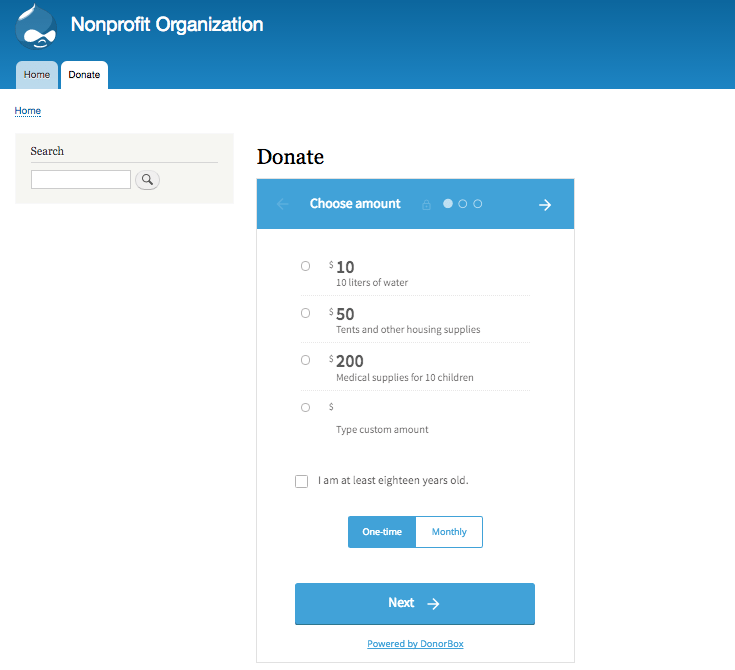 We put together a quick integration guide for our Drupal 8 users – keep reading to find out how easy it is to install a Donorbox donation form onto your Drupal 8 website! Now, log into your Drupal 8 account. At the top of your Dashboard, click the “Manage” tab, followed by the “Content” tab. Then click the blue “Add Content” button. 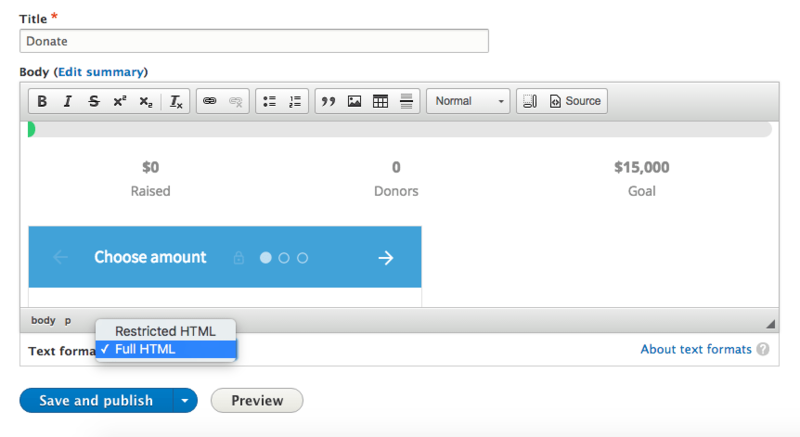 In order to add a permanent donation page to your website, choose the “Basic page” option for your new content. 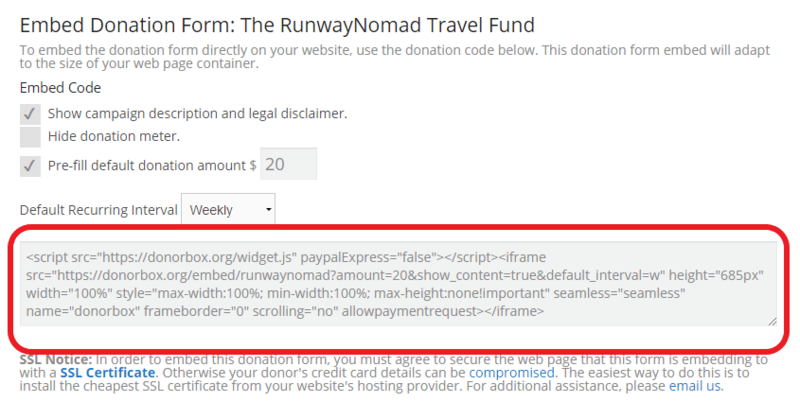 After naming your page, paste the donation form embed code into the appropriate field. Below your code, change your text format to “Full HTML”. The code should instantly transform into your donation form within the text box. Because we are using an embed code instead of a preset donation module, make sure not to skip this step or lines of code will appear on your website instead of the form itself. To ensure that your new donation page is featured on your website’s menu bar, click the “Menu Settings” tab to the right of the text box and select “Provide a menu link”. 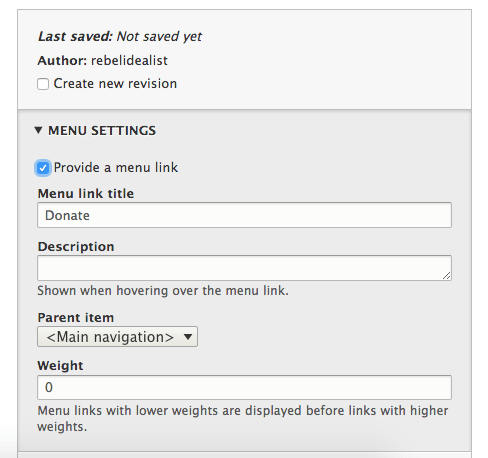 Don’t forget to name your menu link – this is the title that will appear on your menu bar. We hope you found this guide useful! If you have any questions or comments, feel free to contact gro.x1556124253obron1556124253od@tr1556124253oppus1556124253. Can any one recommend a good Drupal Module for getting donations? Paypal has a way of having a simple gif button, but I have seen organizations have elaborate donation pages that are more appropriate and inviting which, I suppose, have links to a database.